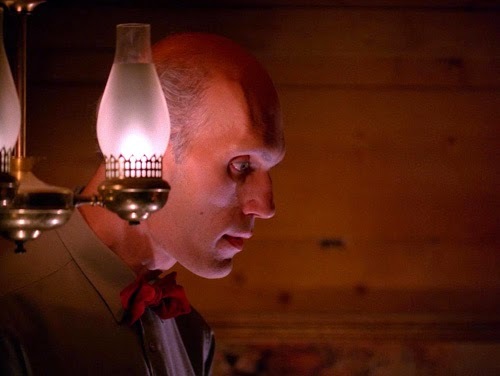 The 90-minute opener of Season Two finds Twin Peaks back in the finest of form, following a slow glide to normalcy during the last part of the first season. 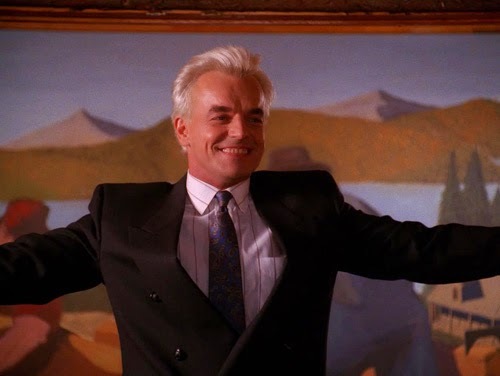 It can in no way be coincidental that the freakish fingerprints of David Lynch are all over the episode; he shares a story credit with co-producer Mark Frost (who wrote the teleplay) and also directed. This has everything one would want from the show; instructive giants, singing lawyers, bizarre poetry, uncanny dreams, and, of course, Bob. There’s even a Three Stooges reference, and from the most unlikely of characters. Best of all, Albert’s back! Lucy: Leo Johnson was shot. Jacques was strangled. The mall burnt. Then Pete Got smoke inhalation. Catherine and Josie are missing. Nadine is in a coma from taking sleeping pills. 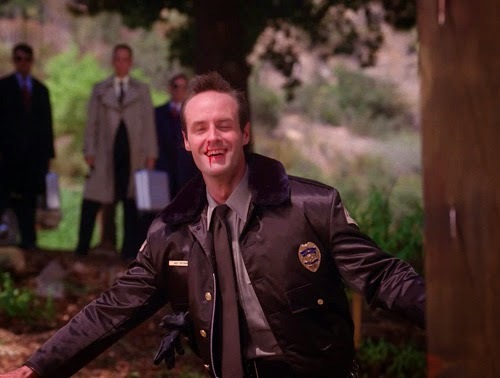 Agent Cooper: How long have I been out? If the first season strayed close to the soaps it was affectionately mocking towards the end, this opener openly acknowledges this. 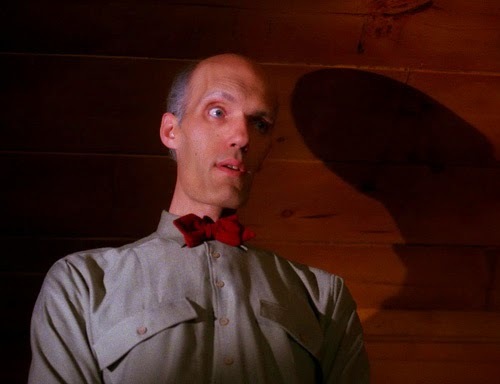 Pointing out the absurdity of the succession of dramatic events required to form a series cliffhanger is exactly the sort of thing Twin Peaks should be doing. The real surprise of 2.1 is that it almost every character gets, or is involved in, a good scene. There’s no dead weight here, except, perhaps (and surprisingly) the Audrey plotline. Actually, anything at One Eyed Jacks is a bit suspect, including administering Blackie with a hitherto unseen heroin habit. It doesn’t make her any more interesting, unfortunately. Audrey is bestowed with a nice little moment when she prays aloud to Coop (“You know, my first time out, I could use a little guidance”), but mostly Fenn draws the short straw. She successfully navigates a lecherous father, but spends the duration in a faintly dull, only slightly risky situation. Agent Cooper: Where do you come from? Giant: The question is, where have you gone? The object of her affections hasn’t kept tabs on what she’s up to, although, to be fair, Coop has been preoccupied; it’s not surprising the first thing on his mind wasn’t the note Audrey slipped under his door. Lurch-in-waiting (The Addams Family would be released the following year) Carel Struycken makes for an inimitably Lynchian presence. Where there are dwarves, there will surely be giants. Said giant is used in an amusingly haphazard fashion, popping up in impromptu fashion to bookend the episode (“Sorry to wake you. I forgot to tell you something”) and prone to breaking his own rules (“I will tell you three things. If I tell them to you, and they come true, then will you believe?”); not only does he proffer a fourth thing (“Leo locked inside a hungry horse. There’s a clue inside Leo’s house”; we learn that Leo was locked in a jail, “ in Hungry Horse, Montana”) he returns for fifth (“One only, known to you, ready to talk, saw the third man’s body”) and sixth (“One more thing, you forgot something”; Audrey, of course). The nature of the Giant is unknown (“Think of me as a friend”) as is Coop’s location (the White Lodge, or the Black; presumably the former, as “We want to help you”). 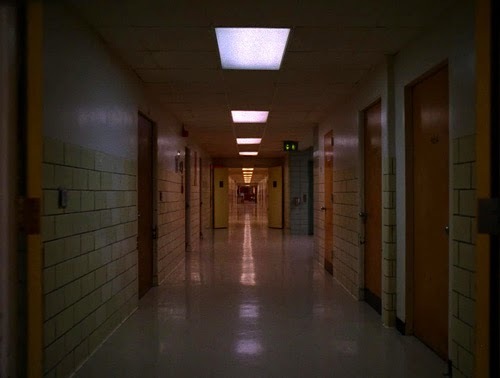 Coop’s desire for answers in a show at best cryptic and at worst downright inscrutable, might be seen to reflect the way Frost and Lynch want the viewer to treat the experience (“Don’t search for all the answers at once”). Lynch and Frost are engaging in fairly elementary clue dropping, highly contrived, but hugely appealing due to the surreal approach taken. This is exactly the same kind of didactic mystification adopted by the Log Lady (“The things I tell you will not be wrong”), complete with signposted ideas to be picked up later and a ring to be returned to Coop in due course. The first of them (“There is a man in a smiling bag”) is resolved, the second (“the owls are not what they seem”) and third (“Without chemicals, he points”) are left for later. It’s like a (less baffling, actually) 3-2-1 with Ted Rodgers (in that, at least the answers here make sense eventually). Bobby: Dad, what is it that you do exactly? 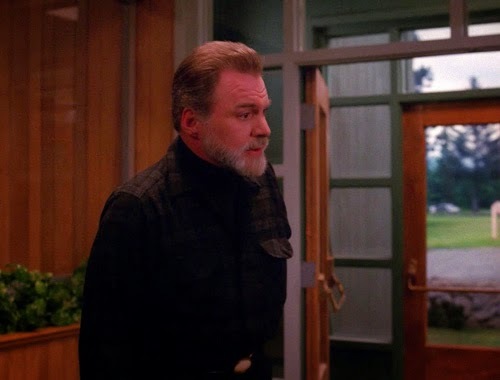 It’s a grand episode for visions and portents, which is as you’d expect from Lynch. It’s what he’s all about. Coffee and dreams. Here he even verbalises a distinction between visions and dreams, courtesy of the Colonel. 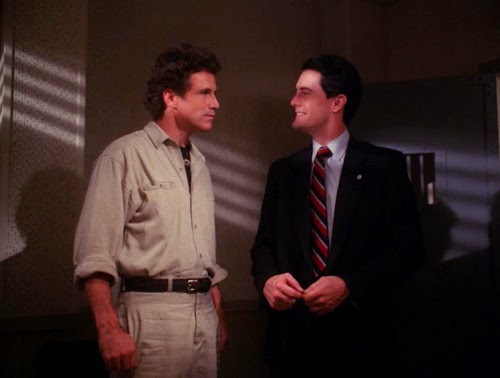 It’s easy to forget that, with the preponderance of Bob and the Black Lodge, Lynch and Frost also nurse a very upbeat, positive side to their weird. The scene between Bobby and his father is particularly delightful for being so unexpected (even by Peaks standards). So far, Colonel Briggs has been defined by starchy exactitude. The last thing we expect from him is an embrace of the strange and unusual. Bobby, meanwhile, has been the epitome of the rebellious teenager, allowing Jacobi’s late stage breakthrough at the end of the first season. So their coming to terms is quite touching, absent any undercurrent of mockery. Colonel Briggs: I’m so glad to have this opportunity to share it with you. I wish you the very best in all things. Colonel Briggs comments that a dream simply represents the ordering and cataloguing of the day’s events. What he had was a life affirming vision, where he met his son, and “We were in this moment one”. They embraced and he “awoke with a tremendous optimism and confidence”. 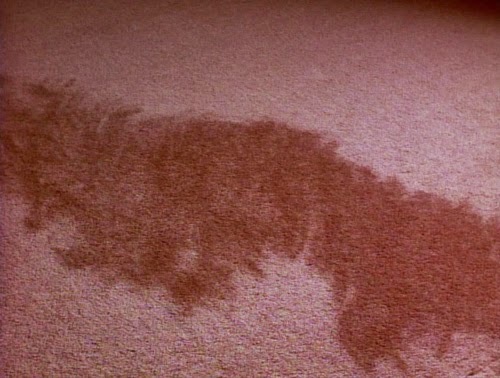 Maddy: The rug, right here. Right at this angle, right there. The flipside comes with Maddy’s anecdote of her dream about the rug. She recounts it to her aunt, who goes to answer the door. When she has left the room, Maddie sees a discolouration spread across the self same spot and convulses in terror. This sort of thing is another of Lynch’s fortes, making the everyday uncanny. 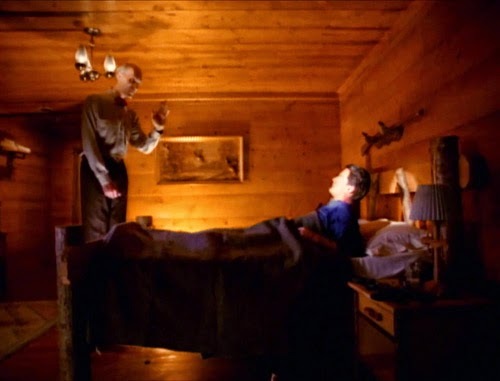 The scene of the picture coming to life in Fire Walk with Me is far more disturbing than any of the sequences featuring Bob. The episode also ends with dark dreams, as hospitalised Ronette Pulaski has a vision of Bob, and Laura screaming. Bob resembles something out The Howling, pre-transformation; the only problem with Bob is that, like Freddy Kreuger, he’s never as alarming again after you’ve first witnessed him (and after you know he was really a set dresser). 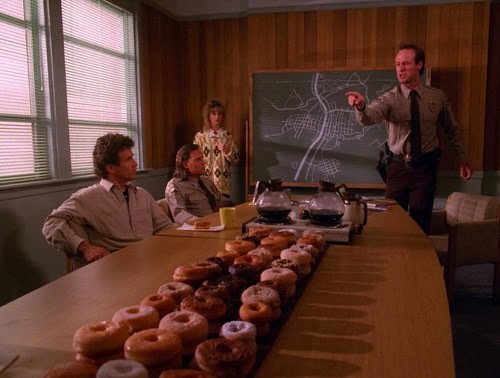 Lest we needed further convincing of Lynch’s passion for the alpha state, Coop’s announces late in the episode that he is dog tired, and advises to Diane, “For as we know from experiments conducted on GIs during the Korean war, sleep deprivation is a one way ticket to temporary psychosis”. It’s also a nice little moment, like the JFK bit, of Coop questioning the system from within. 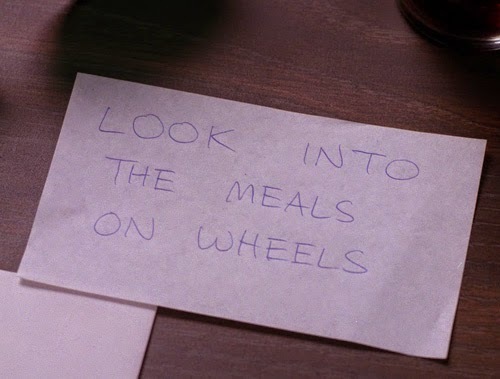 Agent Cooper: Does this include a gratuity? 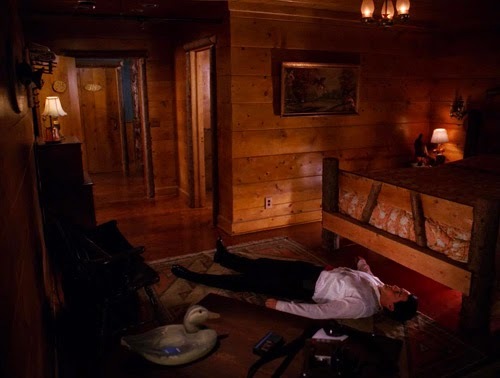 Coop’s main event of the episode is his extended repose on the floor of his hotel room. 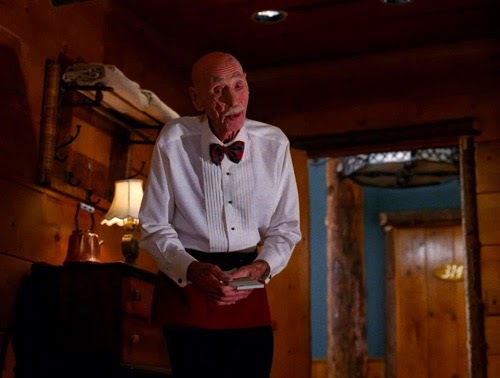 It begins with typical eccentricity, as a waiter (Hank Worden; a regular of westerns since the ‘30s, he was 89 when he appeared in Peaks, and died in 1992) remains oblivious to Coop’s incapacitated state. He is more concerned about his guest’s milk, replacing the telephone on the receiver, and leaving and returning to the room to announce repeatedly, “I’ve heard about you”. Coop’s politeness and decorum in response is wonderfully disarming, particularly in making sure his (highly inattentive) waiter receives a tip. 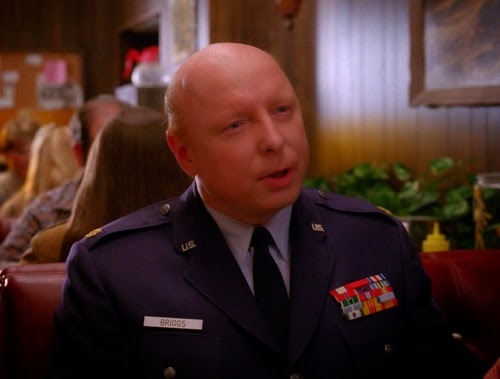 Of course, perhaps the waiter is unknowingly obliging, and this is another part of Coop’s cosmic lattice of coincidence; if the waiter had fetched help, Coop might not have received his giant vision. 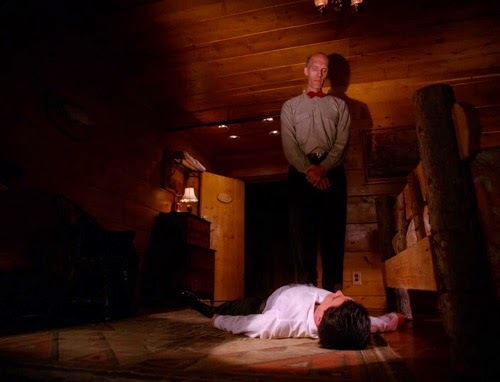 Agent Cooper: All things considered, being shot is not as bad as I always thought it might be, as long as you can keep the fear from your mind. 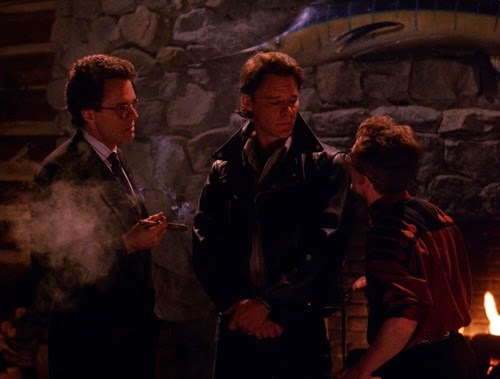 Lynch and Frost, not really ones for the fireworks of movie gunplay, have no qualms about letting us know quite how uncomfortable being shot is (“Like three bowling balls being dropped on one’s chest from five feet”). The key point is Coop’s soliloquy-come-bucket list of things he would miss if this were it. It’s a lovely character statement, illustrating what an all-together decent sort Agent Cooper is. He mixes the fussily precise (his location amid nature) the detective side (it’s not just JFK, he wished he could have solved Lindberg Baby), the romantic, and spiritual (Lynch pressing his alter ego into Buddhism). 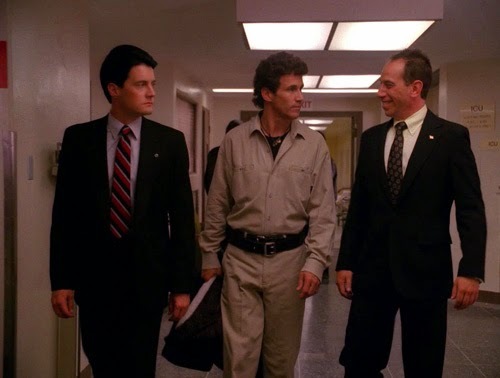 Agent Cooper: I would like in general to treat people with much more care and respect. I would like to climb a tall hill, not too tall. And sit in the cool grass, not too cool. And feel the Sun on my face. I wish I could have cracked the Lindberg Kidnapping Case. I would very much like to make love to a beautiful woman whom I have genuine affection for. And, of course, it goes without saying that I would like to visit Tibet. I wish they could get their country back, and the Dalai Lama could return. Oh, I would like that very much… All in all, a very interesting experience. Ah, they’re here. Coop’s upstanding and moral rectitude are later emphasised in response to receiving back issues of Flesh World (“Nice to see some cooperation with the law, especially from a company that preys on human weaknesses”), but Lynch and Frost won’t quite let us sit in awe of Coop. His invocation of mind-over-matter is not the end of the story (“When the will is invoked, the recuperative powers of the physical body are extraordinary”). Having decided to get out of bed, and get on with the case, a reality check beckons (“Just give me a couple of hours to get dressed”). He also makes occasional mistakes. Coop confronts James about the other half of Laura’s necklace but didn’t have the foggiest over how James came to repossess it (“Jacobi. I didn’t think he had anything to do with this at all. Sometimes you just get lucky”). There’s also a very funny bit where he suggests the peculiar smell Jacobi encountered at the murder scene might be a result of Jacques voiding his bowels. Jacobi’s expression (which surprisingly doesn’t include a line about him knowing what some shitting themselves smells like) is one of contemplation before replying “No, that wasn’t it” (but it was like scorched engine oil). 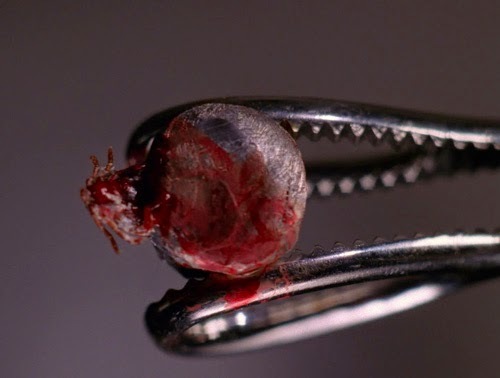 Dr Hayward: Hell of a way to kill a tick. This is an opener where not a whole lot happens in terms of advancing the investigation, but it’s so brimming with marvellous moments that it just flies by. That won’t be true of significant portions of the season. Dr Hayward is granted a line in grumpy sarcasm that allows Warren Frost to do his best Dr McCoy. There’s his reaction to the bullet that stopped Coop’s errant wood tick in its tracks. His dismissal of patient Cooper, who doesn’t take note of his doctor’s advice (“Why don’t you tell the psychiatrist about your broken ribs and torn cartilage?”) and upfrontness over Leland’s change of appearance (“Well, as your doctor Leland, what the hell happened to your hair?”). Nurse: I think he did take a little of his food. Dr Hayward: My God, could that be it? 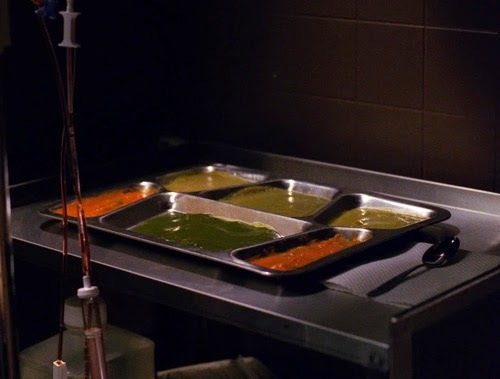 He’s also part of a running lowbrow gag concerning hospital food that wouldn’t be out of place in a Zucker brothers or Carry On… comedy. Dr Jacobi is in a feverish state, and the prime suspect is the food he ate. The inedible chuckles come thick and fast (the designers went to town with viscous samples of the most unedifying slop they could conceive). Pete removes his cannula to cop a sniff, and quickly wishes he hadn’t (“Food in these places kills you more than most diseases”). Bobby visits Shelley and the advice is repeated (“That food can kill you”). 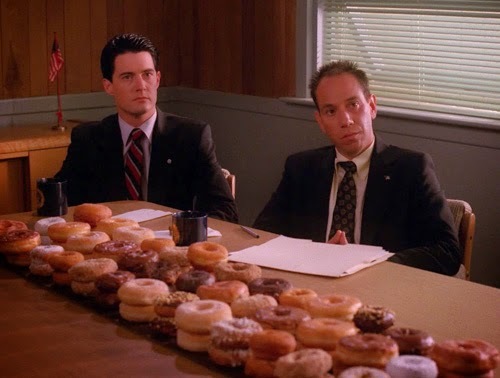 Just so we’re sure Lynch and Frost haven’t fallen out of love with comestibles edibles (Albert is decidedly nonplussed at the hospital coffee, reasonable if their food is any gauge), we also get satisfied mentions of pie (“Hot damn! That pie’s good!”) and a table festooned with donuts (andthe Log lady spitting out gum, not for reasons of disgust but because she’s the Log Lady). The Bobby-Shelley tête-à-tête includes the aforementioned Stooges gag; they affectionately grip and move each other’s head from side to side. This kind of moment exemplifies the tone of the episode. Characters formerly engaged in dull or listless plotlines are momentarily saved by quirky little moments. 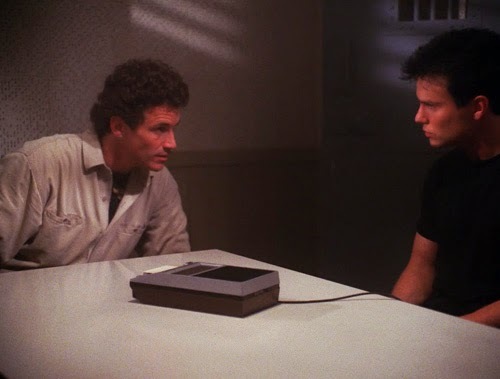 Even comatose James Marshall makes a decent fist of things in both his scenes; one provides a Laura anecdote (below) and the other finds him in jail bewitched by Donna, there’s being hitherto the most snooze-worthy of relationships. Donna arrives wearing Laura’s shades (given to her by Maddy, who is tired of being the good girl and has destroyed her grandma glasses; there’s a suggestion of the object carrying the energy of its former owner) and starts puffing away. James: When did you start smoking? Donna: I smoke every once in a while. It helps relieve tension. James: When did you get so tense? Donna: When I started smoking. It’s a rare moment to savour, when even James and Donna are getting good material! It won’t last. 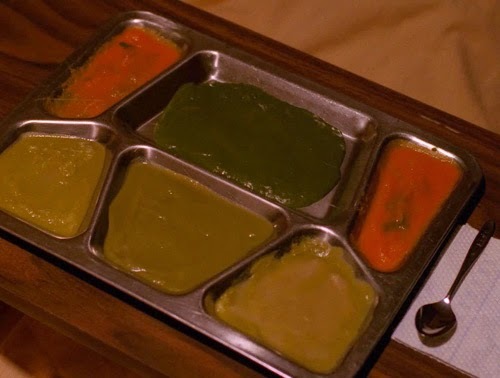 Indeed, the latest clue for these Enid Blyton-esque investigators is to look into is the meals on wheels service, a signal of a dreary plotline to come. 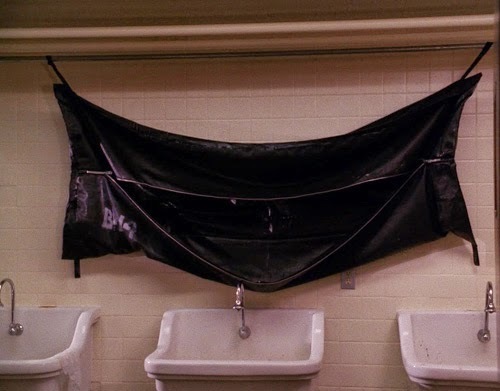 Agent Cooper: Is that bag smiling? Lucy: What’s there to smile about? Some of the characters’ best scenes here refract through the lens of Albert. With Lucy’s literal response to Coop, though, it’s someone preoccupied with their own woes, rather than responding to the high strangeness of the question. Leland, like Albert, elicits others to respond by sheer dint of presence. Maddy: Uncle Leland’s hair turned white. 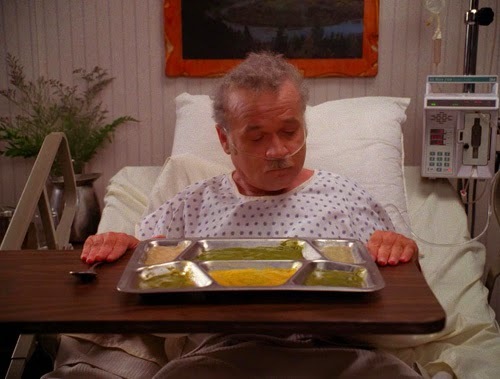 This is Ray Wise at his signature best, Leland descending one morning with a shock of white hair and a jaunty little number (Mairzy Doates, culminating with “A kid’ll eat ivy too, wouldn’t you? Wouldn’t you?”) Leland’s announcement of recovery (“I’m back! Back and ready!”) is premature, which might be because he’s really overdoing the dancing this time out, or because realisation of his crimes is pushing to the surface. He leads the wake at the Palmer residence in a round of “Get Happy!” before collapsing as it turns gospel. The whacky highlight sees him visit Ben and Jerry. They join in, crazy dancing with him rather than trying to eject him as a nut job. Ben and Jerry also have a frosty encounter with Hank, who doesn’t like being at their beck, call, and particularly objects to the insults (“You’re a bicep. Relax, until we say flex”) This is understandable, to the extent that the previously crafty Hank doesn’t seem quite on his game. 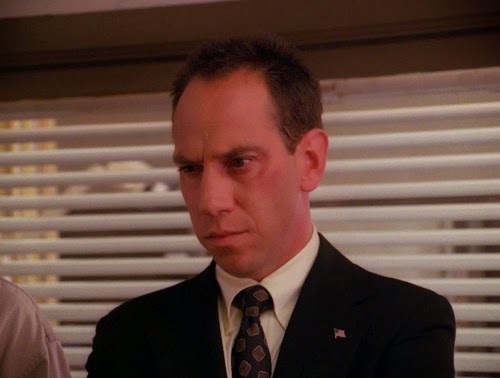 Jerry is understandably incredulous at Hank’s account of how he came to shoot Leo (“Chopping wood inside?”; “Yeah, you know Leo”) and, if the line about Leo suffering brain damage (“How could they tell?”) is obvious, it’s still very funny. 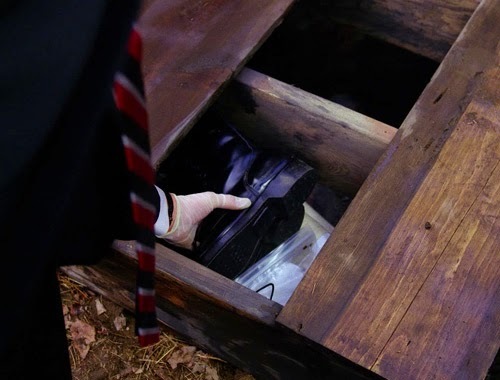 Talking of Leo, his shoes obsession is prefigured when Andy “finds” his new footwear under a plank of wood. In other footwear matters, the man Coop is looking for presents himself to an unavailable Sheriff Truman (“I’m here to sell him some shoes”). 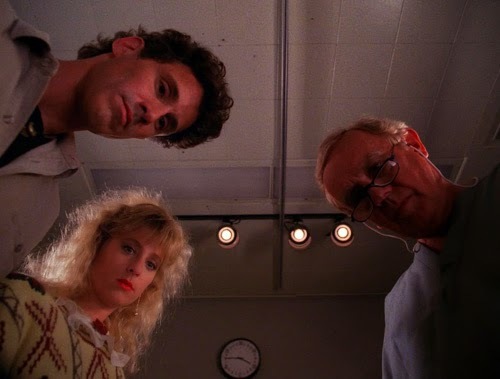 While Coop helpfully stages a reprise of the investigation is so far (for viewers late to the party, although its doubtful whether it would get them up to speed rather than just confuse them), most of matters Laura relates to the eerie rather than illuminating. Jacobi presses the idea that Maybe she allowed herself to die, while dispensing trite psychology that’s probably representative of a teenager’s self-view (the necklace represents a divided heart, and a double life). James: And then she said, would you like to play with fire, little boy? Would you like to play with Bob? Would you like to play with Bob? And she came to kiss me goodbye. Albert: Meanwhile, one of your principal suspects is killed in his hospital bed and the other is shot in his living room. You tell me, vigilante justice, or just good, clean country living? 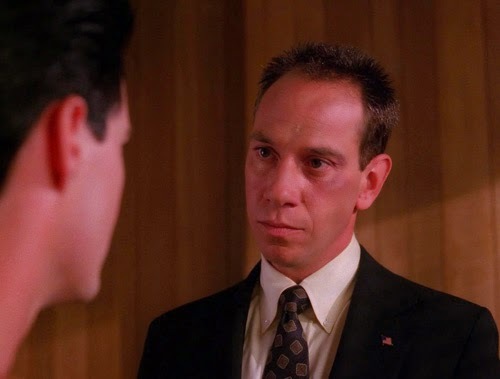 Agent Cooper: Albert, where does this general attitude of unpleasantness come from? Albert: I’ll have to get back to you on that. 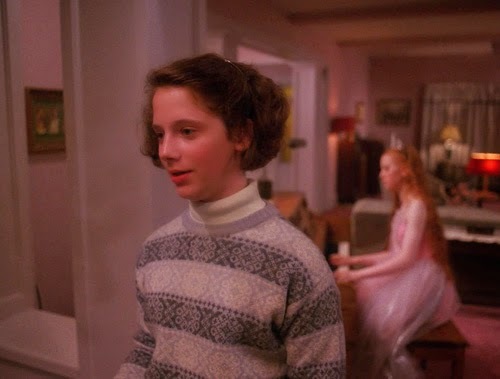 Agent Cooper: Well, if you don’t want to black eyes, I suggest you make some peace with rural living. Albert: Great, after the square dance maybe we can all take a hayride. This is the first of six appearances by Albert in the second season, and if they soften his caustic pith slightly by giving him a spiritual soul in due course, at this point his tongue is in full acid reflux. Albert is merciless, taking no prisoners in any situation, and he’s a complete joy. His invective knows no bounds, but much of it is reserved for poor mullet-stricken Andy. The feckless Deputy Brennan becomes over-excited (not out of joy) at Albert’s arrival, and in his haste to warn Harry steps on a loose floorboard, which flips up and hits him in the face. Bloodied of nose, he staggers about like a live-action Looney Tune. Albert looks on, appalled by the buffoonish display (“And, it’s another great moment in law enforcement history!”) That Andy finds favour (discovering Leo’s stash) and Albert receives a contrasting rebuke does nothing to undercut the forensic expert’s genius at withering sarcasm. 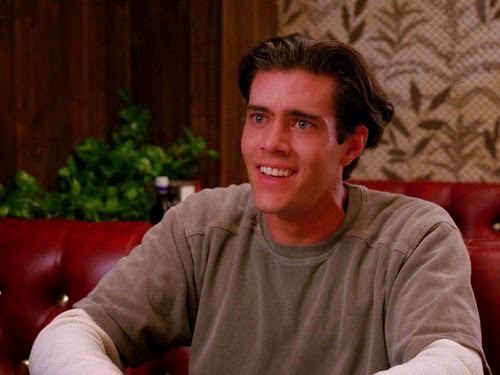 Agent Cooper: Andy, how’s your nose? Andy: Great, not a mark on it. Only blood squirted out. Albert: Where do they keep his water dish? Coop’s congratulation of Andy’s detective work meets with disparagement (“Yeah, woof”) or worse. 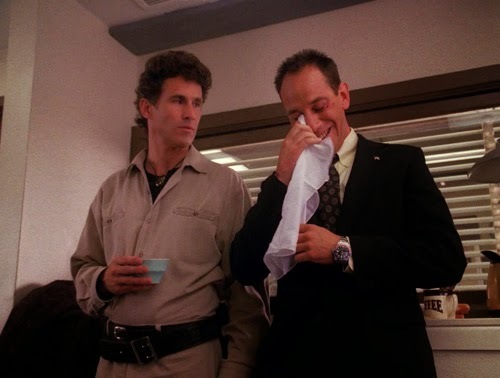 Best of the Andy incidents finds the emotionally fragile cop unable to contain himself (much as we saw in the pilot) when Laura’s fate is discussed. 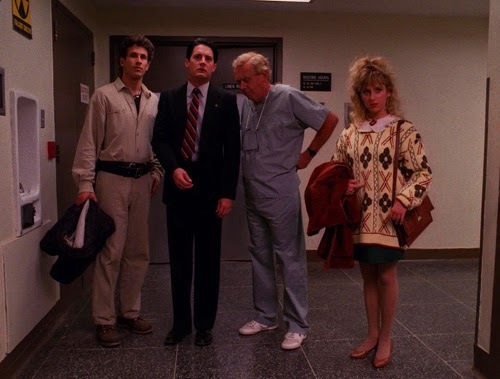 It bears noting that Lynch generally succeeds with characters that become cardboard when he’s not around, and particularly with broader ones such as Andy and Lucy; they need a strong guiding hand not to cross from quirky to plain annoying. Albert: I know Andy, I know, I know, I know. It’s what we call a real three hanky cry. Andy: Albert Rosenfeld, I don’t like the way you talk about Sheriff Truman or anybody. You just shut your mouth. Later, Albert’s on further good form in the hospital. Most of this in the company of Harry, previously prone to punching him. 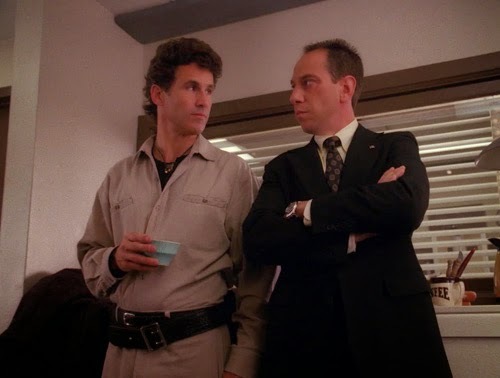 Harry notes that Bobby is on the premises, but doesn’t seem sick, to which Albert shoots back “Sheriff Truman, to see this kind of investigative genius at work, its just a real treat for me”. The trick with a character like Albert is to leave the viewer wanting more. It seems obvious that supporting characters, be they funny or just plain charisma machines, lose their lustre when they are there all the time, or moved to centre stage. 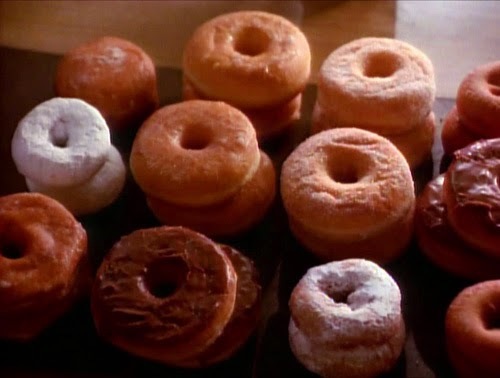 It something very few filmmakers seem to learn, mistaking popularity for a cue to over-indulge. 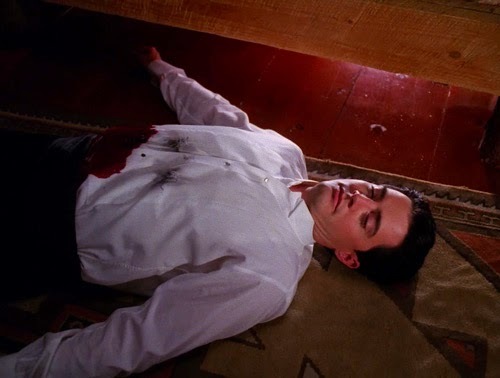 Agent Cooper: Poor Ed. Poor Nadine. Albert is at his cruellest when in the audience for Ed’s admissions. 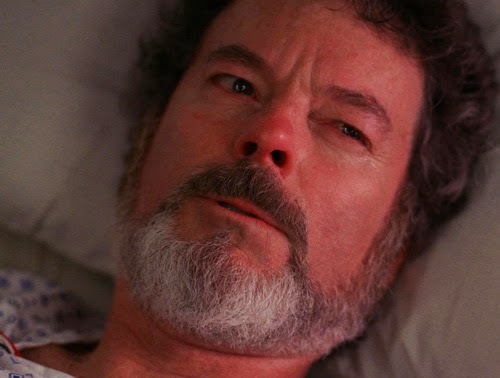 He queries Ed’s stoic stance, by which he has been taught to take care of and pick up after himself (“Farmer’s Almanac”), but most of the scene is played out purely on Ferrer’s facial expressions. Ed and Nadine have tended, and will tend, to be one of those tiresome subplots in the series. However, this scene perfectly balances the tragedy of Ed’s romantic life (he recounts how he ended up with Nadine rather than Norma) with the bathetic absurdity of Nadine losing an eye while she and Ed are hunting pheasant. It’s as much about Ed’s deadpan delivery (“And you know, by golly, I shot out Nadine’s eye on that honeymoon”) as the incredulous look that crosses Albert’s face when he hears about the accident (previously he has been looking at his watch). This continues with Albert fighting back the tears, of laughter, and dabbing his eyes with a handkerchief. 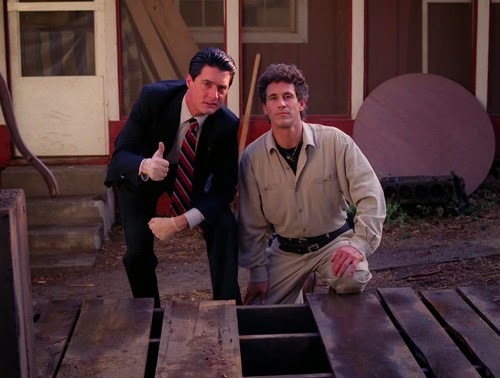 2.1 might not be as essential as the pilot, but it’s possibly the most wall-to-wall satisfying Twin Peaks thus far. Lynch and Frost ensure that nigh on every scene is chock full of classic off-kilter humour or rampant strangeness. It might fool you into assuming that even the series’ weakest characters have something going for them. That after-the-fact episode title, though? Terrible.